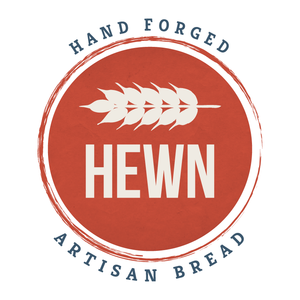 Why the name Hewn? It all started on the coast of Maine in an 18th century house, while Ellen was taking a course on Historic Preservation through the Society for the Preservation of New England Antiquities. The project involved dating parts of a house by examining the building techniques. One way to date a structure is to look at the beams and determine if they were hand-hewn or cut with a saw. Ellen discovered a treasure when a hand-hewn beam was found inside the walls, meaning that a craftsman used an axe to shape the beam. Ellen’s career as a historic preservationist ended after working on the Maine Coast when she started to pursue her passion for food, but the word hewn stuck with her. Making bread is an ancient craft that relies on the hands of the baker. The word hewn is a way to connect the past with the future. 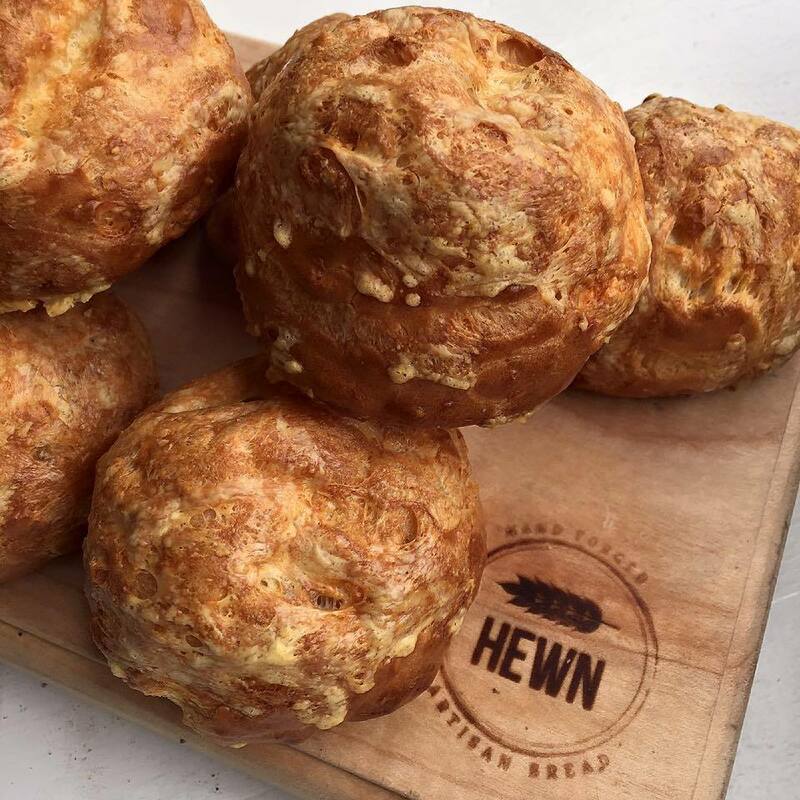 Everything at Hewn is made in-house, from scratch daily. We source local and seasonal ingredients from small, local farmers when their flavors are at their peak. 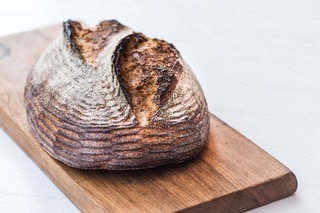 All of our breads are hand-mixed, hand-shaped and naturally fermented without commercial yeast. Allowing bread to ferment with wild yeast allows a richer, more complex flavor to develop. It also allows the gluten proteins to slowly and naturally break down over time. The starter (levain/sourdough) was initially created by Ellen several years ago. Our bakers all work to feed and maintain the starter every day. Each day our bakers mix the dough by hand, turning it every 30 minutes over a four hour period. The dough is then shaped and placed into bannetons, where it rests overnight to rise naturally. In the morning, the bakers fire up the oven and bake the bread. From the start of the mix to the bake, the bread is fermented approximately 20 hours.